Making a movie about music creates its own backstage soundtrack, in parallel with the music the audience hears onscreen. To capture a vibrant music scene with genuine appreciation and authenticity, Writer/Director Kate Barker-Froyland and “Song One’s” tight-knit creative team immersed themselves in the modern urban folk and indie music that serves as the romantic drama’s backdrop. The romantic movie “Song One” unspools when in a chance instant, a young musician’s life is abruptly interrupted. Henry Ellis (Ben Rosenfield), absorbed in the music playing on his headphones, steps off a curb into th path of a taxi. 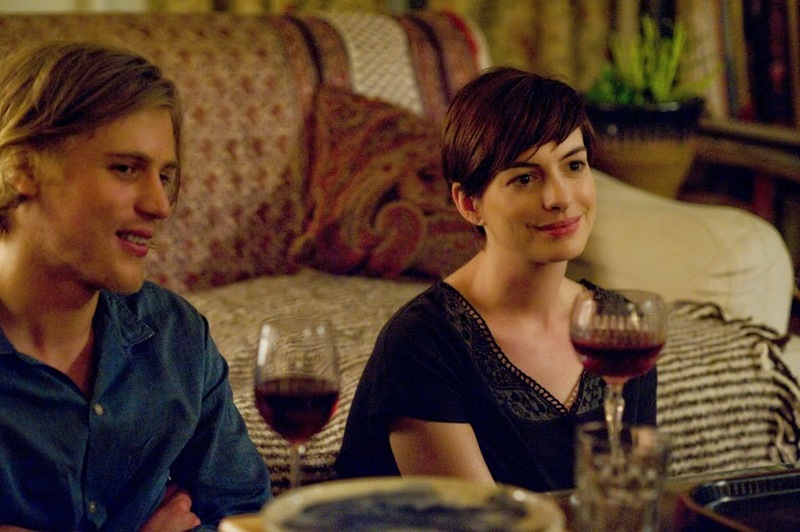 Henry’s older sister, Franny (Anne Hathaway) is living in Morocco and studying Nomadic culture, when she gets the call from their mother Karen (Mary Steenburgen) that Henry is in a coma. All bags packed, Franny quickly headed to New York and joins her mother where Henry is hooked up to tubes and monitors. Before this crisis reunion, the Ellis family had been scattered: Franny pursuing her anthropology PhD in Morocco; Henry living the aspiring musician’s life, busking in the subway while trying to gain a toehold in the Brooklyn music scene; and Karen, long widowed, feeling solitary and anxious about her far-flung, uncommunicative offspring. Old family tensions soon bubble up between Franny and Karen, who is also an anthropologist, preoccupied with writing a book. Nevertheless, daughter and mother are united in their vigil over Henry. Back in the family home, Franny pokes through Henry’s old room, trying to get a glimpse of how his life has evolved in her absence. Inside his guitar case, Franny finds a CD and pops it into the player. She’s shocked to hear Henry’s voice addressing her directly, telling her that he’s proud of his new song. That he hopes she’ll listen even though she’s never responded to his other efforts to reach out to her. Franny finds the song beautiful and accomplished—Henry has blossomed as a musician, more than she ever realized. Inside the case is also Henry’s notebook, where all his thoughts, song ideas, sketches and random brainwaves were recorded day by day. It’s very private but reading it helps Franny understand her brother who may never sing or speak or play music again. Soon in cinemas, “Song One” opens March 25 from Pioneer Films.